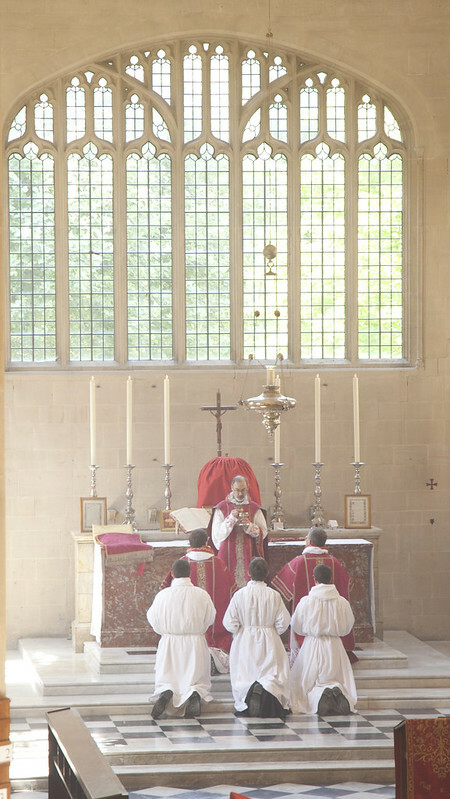 Last Saturday the Dominicans of Oxford celebrated the Vigil of Pentecost according to their ancient books, which means that the Mass proper is preceeded by four Old Testament readings. It was accompanied by the Schola Abelis of Oxford. The celebrant was Fr Richard Conrad. 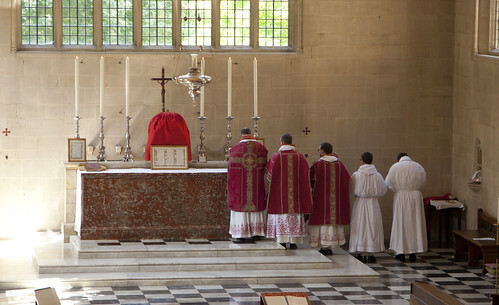 Pentecost is one of the great festivals of the Church's year. Perhaps because it falls on a Sunday, I think we tend to take it for granted. 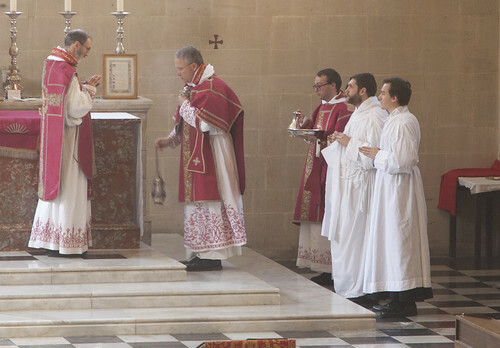 But it's ancient Vigil, which reprises the Vigil of Easter, and Whit Week which follows it, once made it stand out. 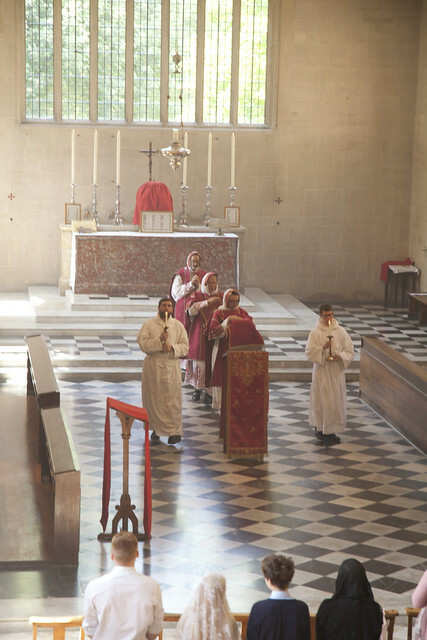 As well as the subsequent sequence of Sundays being called the 'Season after Pentecost'. 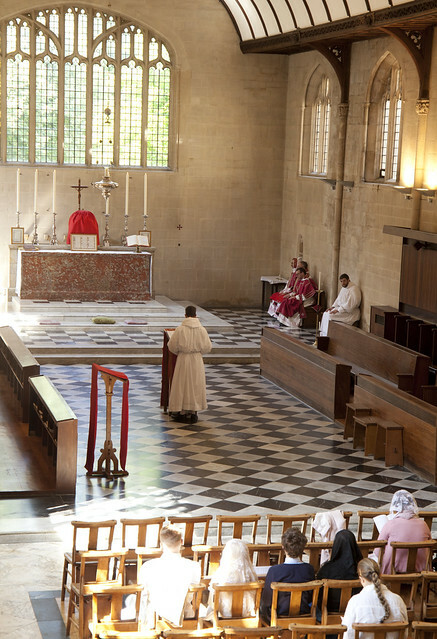 An unexpected feature of the Mass on Saturday was the presence, in the congregation, of a number of members of the Council of the Association for Latin Liturgy, who happened to be having a Council meeting in Oxford later in the day. 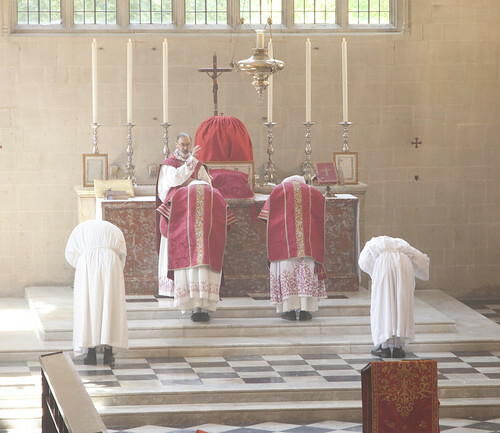 The ALL broke away from the Latin Mass Society in 1969 when some members wanted to promote the Novus Ordo in Latin, but we enjoy friendly relations with them today. 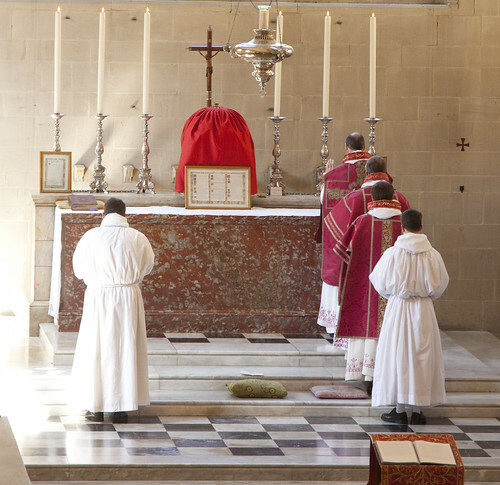 Liturgy has to be experienced, not read about; photographs and recordings can give only the vaguest sense of what it is like. 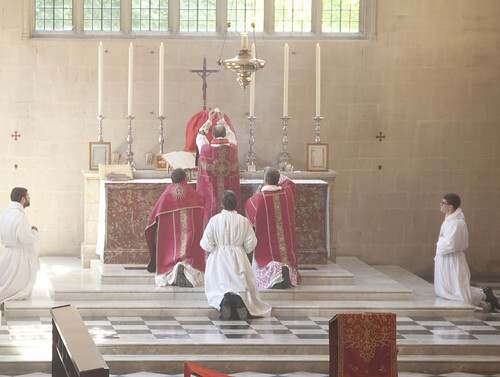 I feel there is something especially serene about the Dominican Rite, and the chants have a distinctiveness which gives them (to those used to Roman chants) a slightly unexpected, even weird, quality which makes them fresh. I noticed this particularly with the Litany of the Saints which, though very simple, required constant effort on the singers part if it were not to turn into the Roman version. 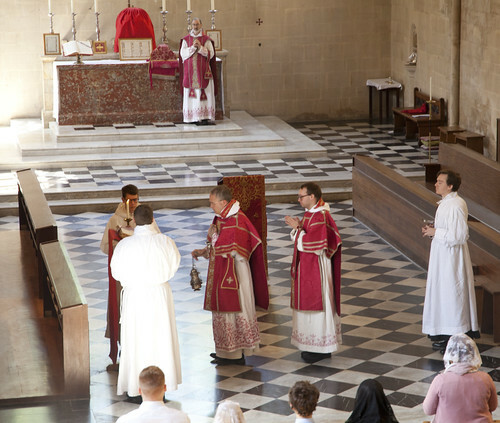 It was a privilege to assist at this Mass. Are the collars (it looks like that's what those are) connected to the ones traditionally worn in Spain? 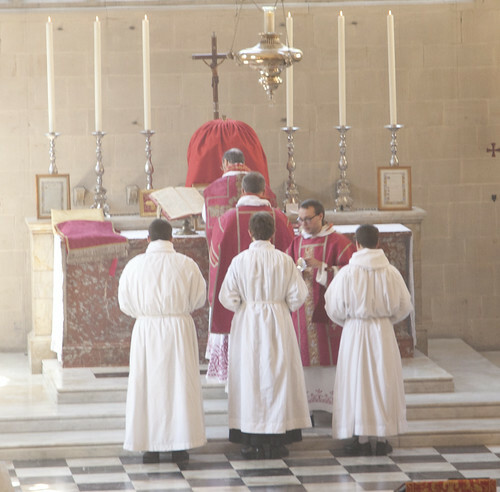 Or are they a sui generis Dominican custom that simply happens to be similar in appearance? 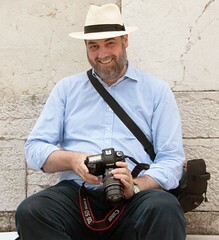 See the last photo: they wear an amice which is actually a working hood.